Total Living: 2,331 sq. 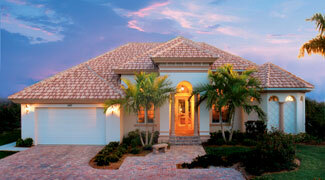 ft.
Clean, crisp stucco walls topped by a tile roof add classic Mediterranean charm to the Toscana. 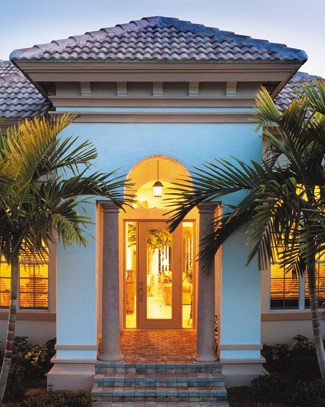 The two-story entry portico creates a dramtic welcome for guests. 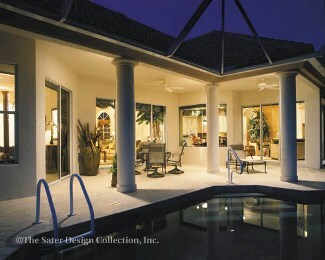 A lanai tops the rear view of the home, which features a covered patio framed by large columns.